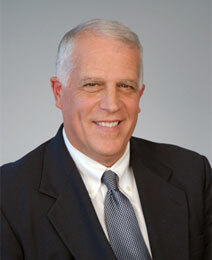 BRIAN T. SILVESTRO is a principal of Brody Wilkinson and a member of the firm’s Real Estate Group. Mr. Silvestro practices in the areas of residential and commercial real estate, land use and zoning. He represents builders, business owners and private clients in real estate purchases, sales, refinancing and third-party relocation transactions. In addition, Mr. Silvestro handles subdivision applications, special permits and variances for clients before the Zoning Board of Appeals, Planning and Zoning Commission and the Conservation Commission. He lectures at real estate relocation conferences and represents select New York banks in real estate finance transactions for private clients residing in Connecticut. Mr. Silvestro is a Martindale-Hubbell AV-rated attorney. Prior to joining the firm, Mr. Silvestro practiced for nearly 30 years at the Southport-based law firm of Kleban & Samor, P.C., where he headed the Residential Real Estate Group. He is admitted to practice in Connecticut and before the United States Court of Appeals for the Second Circuit, and the United States Supreme Court. Mr. Silvestro is a member of the American and Connecticut Bar Associations and their Real Property and Environmental Sections. He is also a member of the Executive Committee of the Connecticut Bar Association’s Real Property Section. Mr. Silvestro is also a member of the American Land Title Association. He received his B.A. from Wesleyan University in 1970 and his J.D. from Suffolk University Law School in 1974. Mr. Silvestro was a member of the Town of Fairfield Economic Development Commission and a former member and chairman of the Town of Fairfield Board of Parks and Recreation. He has been involved at the Board level with the Wakeman Boys’ and Girls’ Club in Southport for over 40 years and currently serves on the Executive Committee of the Club’s Board of Trustees. Mr. Silvestro volunteers in numerous youth sports programs throughout Fairfield and was honored by the Fairfield High School Scholarship Committee in 2005 for his many outstanding community contributions and achievements. Mr. Silvestro also received the Connecticut Secretary of State Youth Sport Leadership Public Service Award in 2005. He also served as the Varsity coach of the boys’ basketball team at Fairfield Ludlowe High School. Mr. Silvestro is currently a resident of the Black Rock section of Bridgeport where he lives with his wife Jane. Since moving to Black Rock, Mr. Silvestro serves as a member of the Black Rock Neighborhood Revitalization Zone Committee and is chair of the Leadership Greater Bridgeport, an affiliate program of the Bridgeport Regional Business Council.